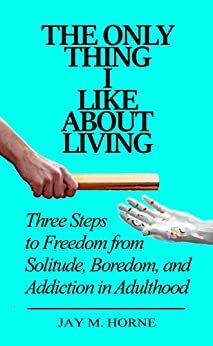 After publishing numerous books on spirituality, philosophy, and addiction, Jay brings us his most informative and essential work to date. Contrary to the popular belief that growing up is a trap, he helps us understand the immense power that a clean conscience endows. Jay's unique experiences open us up to a world where accountability becomes the most rewarding part of living. 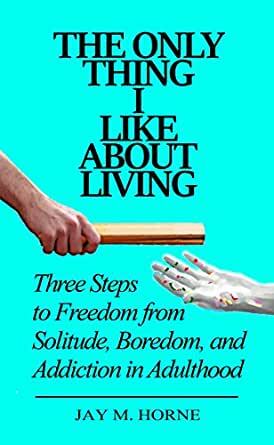 The healing touchstone of millions, this modern work by one of today's most inspirational authors, holds the key to understanding addictive thinking in adulthood and unlocking the chains that bind our inner peace and happiness. The first and third person instructive life stories, personal reflections, and exercises read like we are right along for the ride. The book is a journey from cover to cover that—while explaining why you constantly seek that old childhood innocence—brings you back face-to-face with the experience of it, and leaves you smiling, hopeful, and thankful. Jay M. Horne, an author turned publisher, sprang up among the roots of a literary family tree. His grandparents were both English teachers, his aunt a grade-school principal, his late uncle a poet, his mother and sister artists and he, a life-long lover of martial arts, especially the style of Tesaihiryu Ninjutsu, which he created and coined their motto 'The Perfection of Life'. He was raised as a middle child. His older brother, Justin and younger sister, Jillian shared his childhood. Jay's writing career began in 2010 with his release of 'Life's A Joke! ', at the age of 30. It is a title that he currently is slightly ashamed to claim as his own, but regardless continues to be the top seller in his library. To begin with, writing was therapy, but since has become a passion of his. Reading, editing, publishing, cover design, everything about books captures him. At the age of ten, Jay had begun writing and designing on computers. Many old childhood books he created are published now, after years of sitting in a file cabinet of his father's. Currently, Jay lives in Bradenton, Florida and is married to Angela Horne. He has four children, Ashton, Montanna, Morgan, and Jaymat whose greatest aspirations are also to be famous writers! Jay works for Manatee County as an EMT and enjoys keeping fit through training Ninja with his children and swimming on Anna Maria Beach. His current library of personal publications totals about 20 titles, and he steadily has a few manuscripts in the works. Mostly his daily writing is focused on Martial Arts Instructionals and Genre Fiction.